It is not difficult to imagine how painful and frustrating it is when precious photos get lost, for each picture captures a special moment or memorable situation that can’t be gone through again. Programs that can recover lost photos are indeed urgently needed. 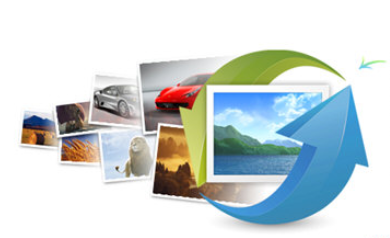 Photo recovery software is in bid demand in these years. This is on the account of the rapid development and improvement of digital cameras and smart phones which offers powerful photo taking functions. People are keen on taking pictures to record important situations like wedding, travel, graduation ceremony, children’s birthday, family get together, etc. Photos are stored on memory card or computer hard drives, which tend to get lost due to various reasons. And the loss of photos is by no means a rare problem, which may happen to all of us. When you are trying to find out a solution via search on Google, you will feel at sea facing its searching results. You need to read through all the information and select a program that can recover lost photos effectively and easily without doing harm to original files. As the increase of data storage types, data recovery software should increase the compatibility and put up with large workload. Since there are many recovery programs in the market, software developers try their best to optimize their programs and add as many features as possible in order to keep triumph over competitors. It’s really a tough task and real challenge for these applications to deal with a wide range of data loss scenarios, so we need to pick the fittest one to fix problem. Our precious photos can be lost on account of accidental deletion or formatting, or storage device failure. And we don’t need to be upset, as a piece of qualified data recovery software can help you retrieve all lost files. Eassos Recovery is regarded one of the most effective such programs. This software not only allows you get back deleted or formatted photos with original names, but also it requires minimal efforts through the entire recovery process. SD card, MMC card, Micro Drive, USB flash drive, external hard drive, TF card, Compact flash, memory card, and all other formats of digital media are supported to recover lost photos. Besides, Eassos Recovery supports all types of photos including JPG, GIF, JPEG, PNG, RAW, TIF, ARW, NEF, CR2, DNG, MEF, ORF, CRW, X3F, etc. and provides file preview function by which you can make out whether lost photos can be successfully recovered. If you are suffering from photo loss problem or you are working on photo processing business, or you are afraid of data loss may happen to you, then you should install photo recovery software to your computer in case of anything undesired happens. This entry was posted in Data Recovery and tagged photo recovery software, recover lost photos by EASSOS. Bookmark the permalink.